World Design Consortium is interested in design of Boots, Sandals, Shoes, Slippers, High-Heels, Galoshes, Waders, High-Tops, Mules and similar projects for interested parties. 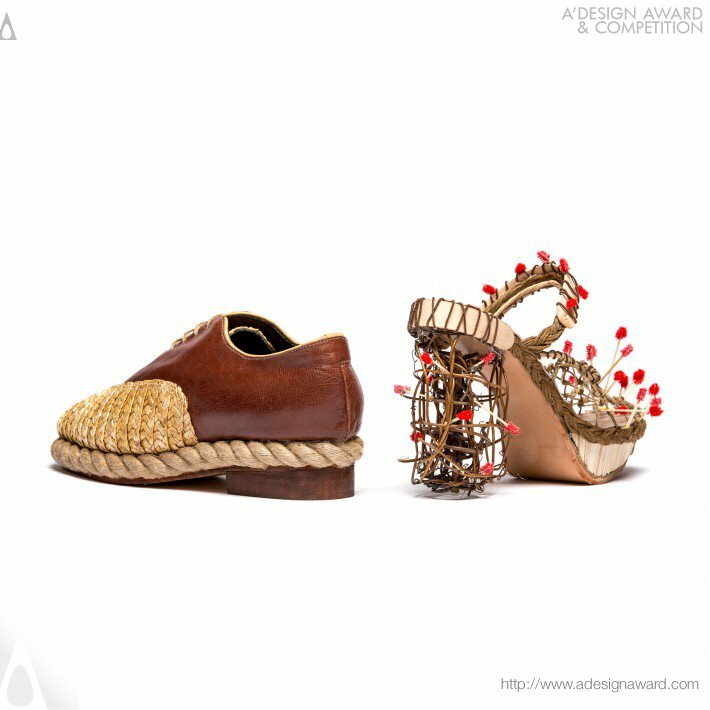 Please kindly contact WDC for Footwear, Shoes and Boots Design Award consultancy, tenders, jobs, offers and requests. Below, displaying an award winning project by HK/18521454. The design was inspired by a traditional Chinese story named "To Borrow Arrows with Thatched Boats", when two kingdoms were in a war. 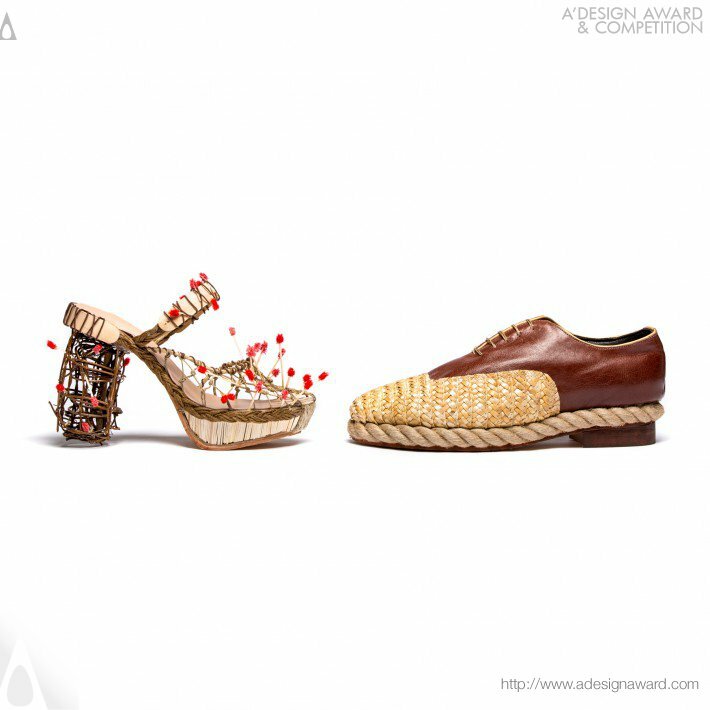 It was interpreted in the designer's own way, inspiring the designer to create a pair of shoes with two different design but yet consistent and connected. 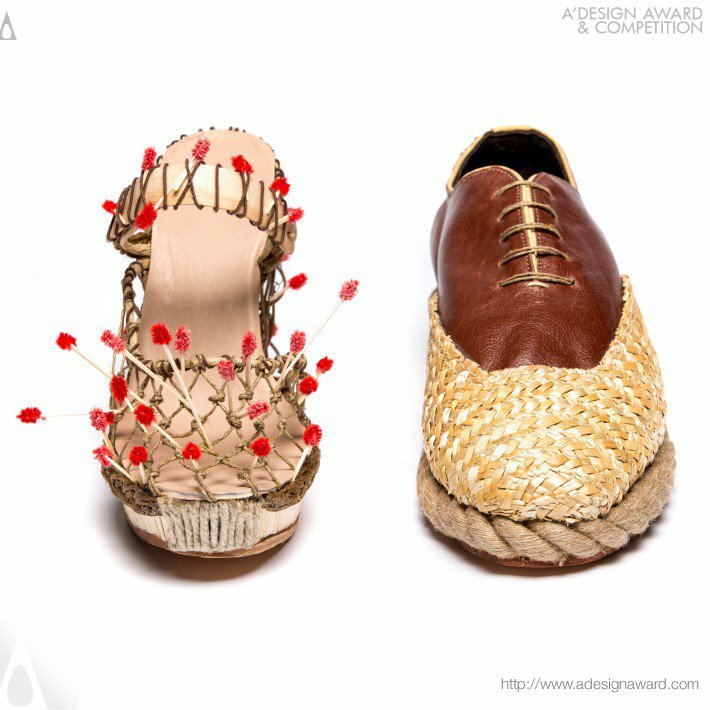 The designer wanted to express the story with the shoes representing a couple in a fight, delivering the story that even in hard times they are inseparable. 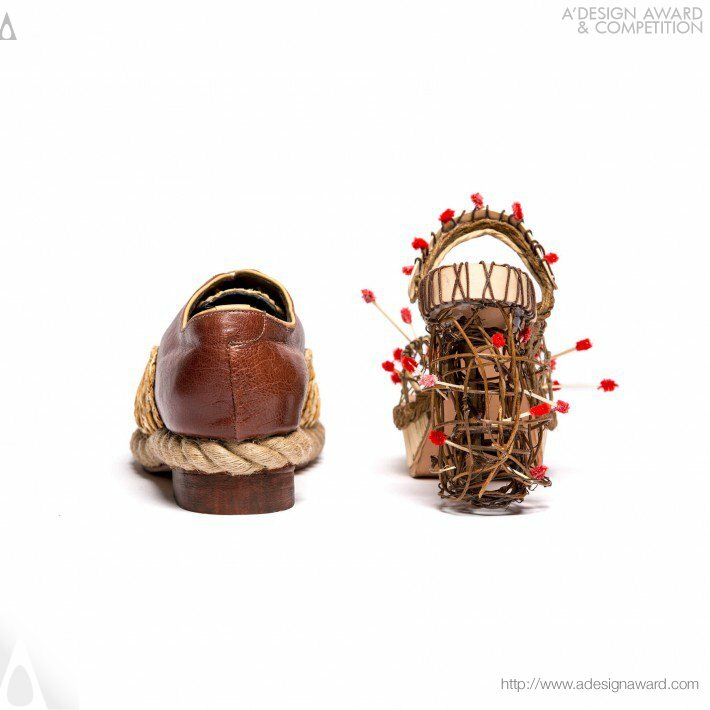 The design is two physically functional and wearable footwear that were made with non traditional material but with traditional techniques. If you wish to have a very good footwear design, please contact our secretariat and indicate that you wish to work with HK/18521454 for your footwear project. We will process your request immediately and forward your requirements to HK/18521454. 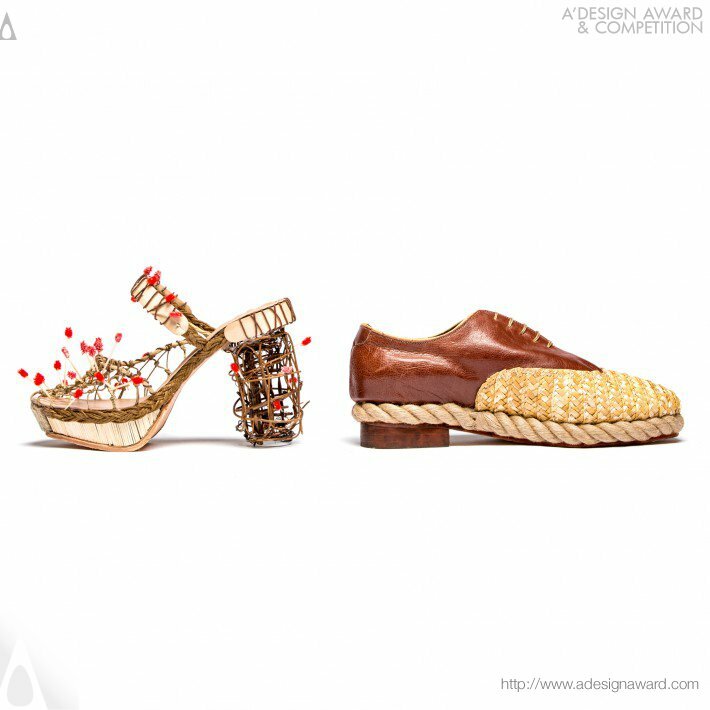 Request Consultancy for footwear design by HK/18521454.